Every single day you wake up and commit to being someone, whether you recognize it or not, much like an actor committing to a role. Understanding this fact is powerful and liberating! What activities have I been prioritizing in my life? Am I truly committed to my goals or am I wishy-washy? Who do I need to become to reach my goals? What actions does that identity prioritize? Being a successful entrepreneur starts with asking yourself these fundamental questions. It means you can be whoever you want to be (or need to be), right now! 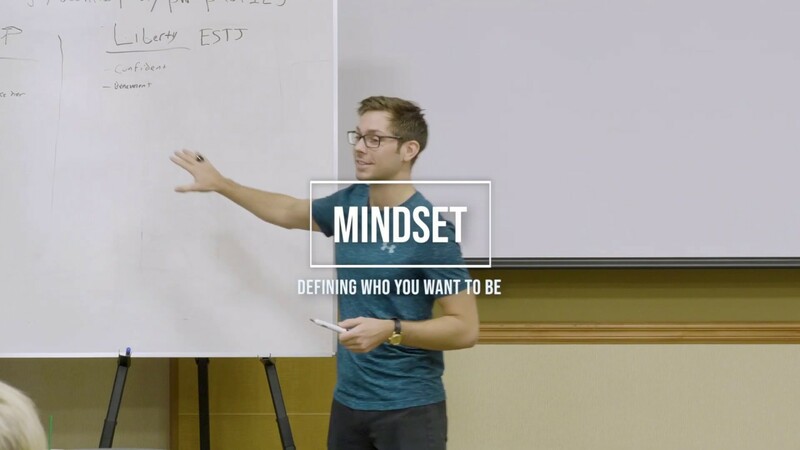 Check out this video on Mindset Training that will empower you to take control of your identity so you can consciously decide what person you’re going to be moving forward, and let me know what you think in the comments. Check out the video and let me know what you think in the comments below! – [Paul] I mean in terms of mindset, this was actually a really good practice because does everyone know what a success mechanism is? Anybody aware of it? It’s something I pretty much learned. It was one of the first things I ever realized about like oh my identity isn’t really an identity. I learned it from Maxwell Maltz in a book called Psycho Cybernetics. And he talks about this idea that people would come in for plastic surgery, they get it, and then they walk out and they still felt ugly. Even though they were like, oh your nose is like really crooked. Then they’d fix it and they’d give him like a George Clooney nose, and the person still just had this thing where they were still hideous. And he realized that it’s not necessarily the physical aspect that matters for the person, it’s what they believe about themselves that matters. – [Paul] Their perception of it. So he created this way for you to completely change your perception of yourself. And he called it a success mechanism. And that’s when I started it, basically I put it in the program and said you should do this for a very important reason. It’s you wanna create your own character of this character that is not you today. And you wanna write it out, and inside the training portal there are six or seven worksheets on how to do that. And it takes a lot to get through that process in order, you have to define who your current character is, what they look like, how you think. Then you have to define what your desired character, like this new person looks like, how they think. How they’re benevolent, whatever different aspect, they believe they can be anybody and step into any shoe ever. But when you do that and you create this new character for yourself, then it really creates the freedom for you to end up actually becoming that person. Like instead of just being always introverted, you now can be extroverted. And instead of always being a feeler, you can become a thinker. And that’s really important, you have to have that ability to do that. Instead of being always distracted and multi-tasking, which isn’t a real thing by the way. Multi-tasking just a way of being kind of lazy. You can be very focused and constantly doing things that are producing for you. So what I’d recommend for everyone to do right now is just take actually five minutes and write out some of the attributes of this new character you need to become walking out of this room today. Now that five minutes that you just spent is probably one of the most valuable five minutes you could of spent at this entire event. And that’s because you’re defining what the person you are becoming is. And when you do that, you’re defining the person who’s gonna run out of here with a fire lit underneath them that’s gonna become successful. Yes. – [Student] Well what does my car have to do with it? – [Paul] It’s a good question, it’s about the persona that you wanna become. Like it’s about who you wanna become. For some people it’s a car, for other people its their house, for other people it’s how much time they spend with their kids. It can be anything, but whatever’s important to you. For me cars do nothing, I don’t care about what car I drive. I don’t really care about that kind, I mean, a lot of things that most guy guys think about, I don’t really care about. I care more about being focused, feeling good, being healthy, having fun by playing sports or listening to music, dancing with Miranda. These are the things that I kind of prioritize more so. So whatever’s important to you. But you wanna make sure whatever that important thing is, it’s important to the person you’re becoming as well. And it’s one of those priorities for them. So if a car’s not that for you then don’t do that. It also could be new friends, for me that was a big one. I wanted new people to be around big time. ‘Cause I had only ever know the people I’d gone to school with when I first did this exercise. And I said that can’t, I can’t expect to change if I don’t change my environment and these people. ‘Cause literally everyone in the world I know of that is successful has at some point in time made a rapid huge change in the people they were spending their time with.